Steal 50 cows with the UFO in one match. More UFO's for each skill point. 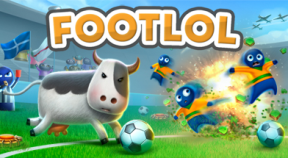 Score 5 goals with the cows in one match. More cows for each skill point. Strike players with bombs 250 times in one match. More air strikes for each skill point. Strike players with meteorites 250 times in one match. More meteorites for each skill point. Teleport ball 10 times while not teleporting any players in one match. More teleports for each skill point. Win 5 matches in a row. Win 10 matches in a row. 10 goals scored to the same side in a row. Complete all levels on the planet Earth. All players on the field are Spartans. Win a match without players. Complete 15 levels on the planet Earth.